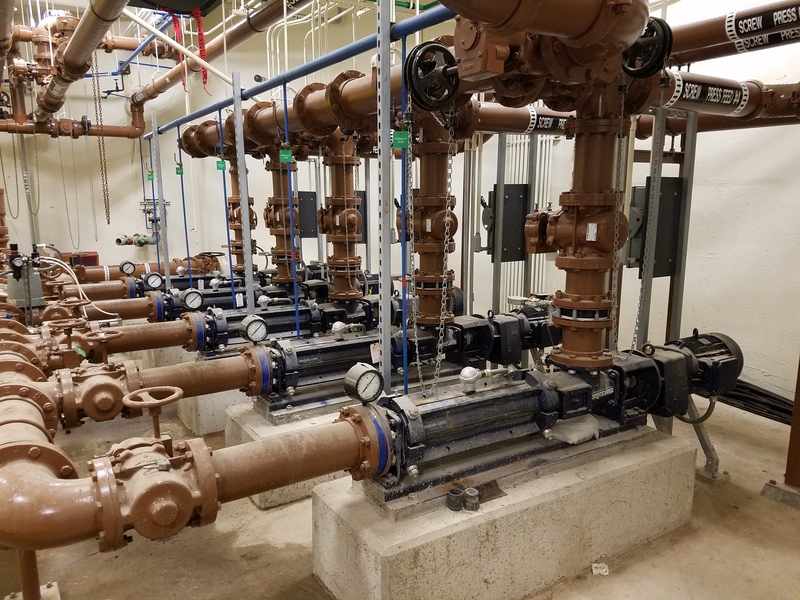 The Cities of Flint and Holland made significant upgrades to their solids handling processes using industry leading Seepex progressuve cavity pumps. 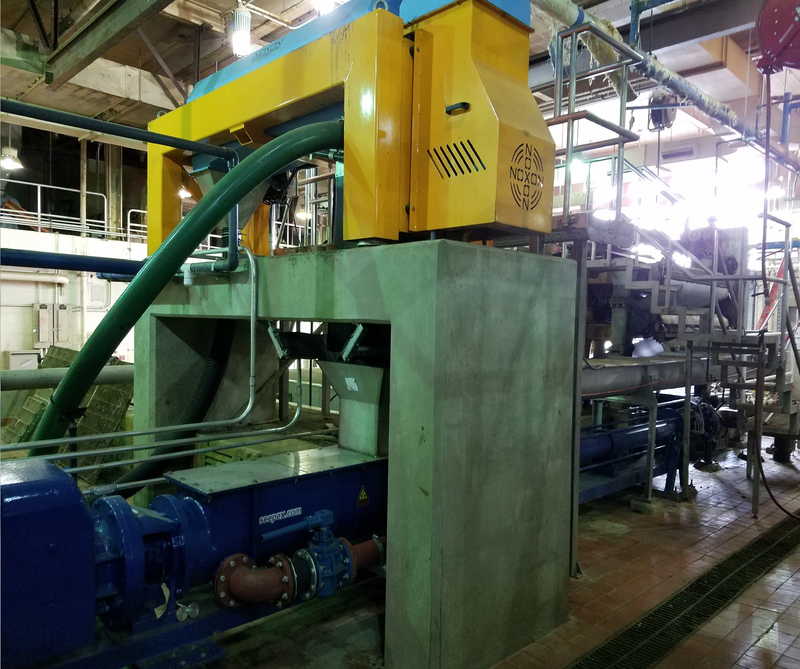 In 2013, Seepex provided the City of Flint with demonstration cake pump based on a try it/buy it program to pump 25-35% cake from a belt conveyor into their incinerator. This was a precursor to a planned biosolids unloading station that was scheduled for design to replace their aging incinerator. The Seepex cake pump did everything they expected it would. In 2014 they proceeded with designing and then constructing their new uploading station based on using two Seepex hopper style progressive cavity pumps to move their cake from a pair belt presses and centriguges more than 300 feet horizontally and 30 feet vertically to their two unloading truck bays. The City of Holland totally revamped their solids dewatering building with new FKC Screw Presses and Seepex cake pumps. 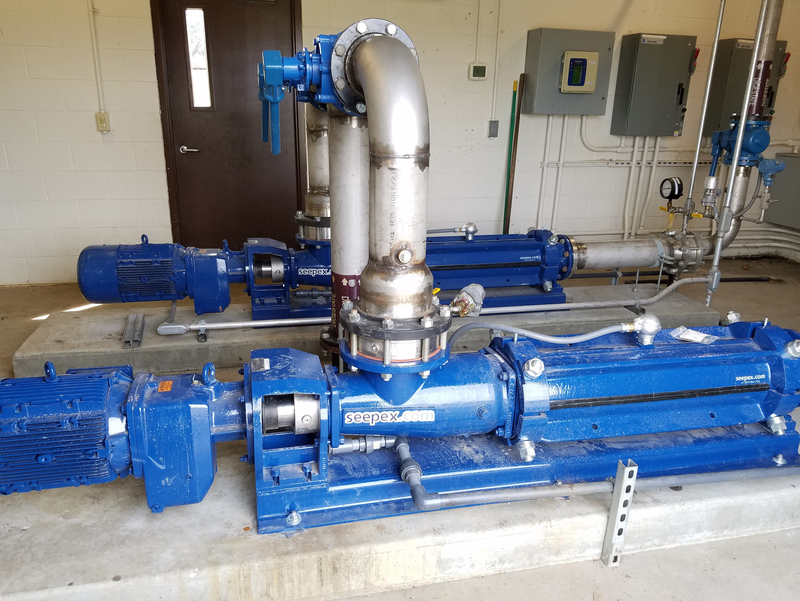 Both Flint and Holland hanve since installed several more Seepex progressive cavity pumps on digested sludge and chemical feed process. Click on here to visit Seepex's website or click contact us if you want one of Hamlett Environmental's knowledgeable representatives to contact you.